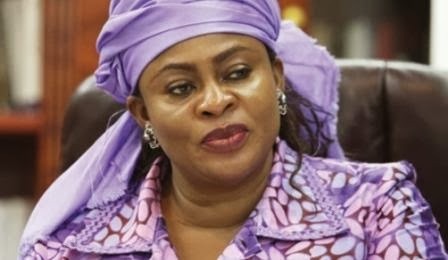 AVIATION MINSTER - STELLA ODUAH RESIGNS + 4 OTHER MINISTERS! Some people have expected this for a while now especially with the many controversies trailing the now former aviation minster Stella Oduah. Channels TV reported this and even tweeted about the resignation. According to reports by AIT and Metropole Magazine Stella and the other ministers :the Minister of Niger Delta, Godsday Orubebe, Minister of State for Finance, Yerima Ngama, Minister of Police Affairs, Caleb Olubolade and the Minister of Aviation, Stella Oduah we fired. The story develops. The tweet said they resigned. Your post below said they were fired. I have not watched TV since morning, so please, clarify. The remaining ministers will resign too, because we have bad government.. Very beautiful woman, very gorgeous... always amazed at her Bakassi...lol! I don't know why she had to soil her hands on this act of "common stealing" now the oga at the top has been forced to do the "needful"
The breaking news I heard ystdy said they were fired by GEJ! Why d twist na?